“Imagine if you will, a picture…” – the silhouette of a tall, grizzled cowboy standing between the twin swinging doors of a saloon somewhere in the nameless West. The figure enters this “house of ill repute” and crosses the sawdust-covered floor toward the bar. The room falls silent. All eyes are on the faceless stranger with the well-worn Cattleman and full-length duster. Glass breaks somewhere in the distance, but nothing else can be heard except the jingle of silver spurs against the heels of the cowboy’s boots. The men seated at the bar scatter like sparrows from the trees as they make room for the weary traveler. The outlaw pulls back his coat just enough to give sight to his Samuel Colt Revolver. He takes one of the recently vacated seats. The outlaw nods to the barkeep and flips a hefty silver coin onto the bar. It’s an iconic scene that has played out in as many movies and books as there are stars in the sky. He’s the good, the bad, and the ugly. He’s Clint Eastwood at his finest. He’s the outlaw every young man at some point in his life wants to be. He’s the anti-hero that every woman secretly wants to know – the bad boy. But what if I were to change one crucial element of that scene? What if the outlaw had asked the bartender for the house red…or maybe a vodka martini? Right. It just doesn’t work. Our rugged hero’s cool-factor just bottomed out. Why is that? Well, let me fill you in on a secret as old as the Wild West itself. It’s not the guns or the swagger. It’s not the long leather coat or the stranger’s mysterious past. It’s the bourbon – plain and simple. Bourbon for the better part of the past century has always been treated as the Jan Brady of “The Liquor Bunch” – the middle child. It has typically been considered a step up from its younger sister, moonshine, but a giant step down from its older and more sophisticated sibling, scotch. Not anymore. Purveyors of fine bourbon all over the country – even in our neck of the woods – can tell you with certainty that Bob Dylan was right when he said, “Times they are a-changing.” Whiskey bars that specialize in craft and small batch bourbons are popping up everywhere, ushering in the new age of bourbon with Southern grace and genuine style. My father was of the generation that picked up a handle of Jim Beam after work on Friday and sipped it throughout the weekend with just enough Coke to change the color. For a long time, that’s all I ever knew of the amber liquid – just a nice sugarcoated escape from a long workweek. I even grew to follow in my father’s footsteps by making Knob Creek (a Jim Beam product) my go-to weekend cocktail. I like the taste of bourbon and it gets the job done. That’s where it ended for me – until recently. I began to see more and more upscale black tie events serving allocated bourbons as a way of showing their sophistication. Posh fundraisers I’d been attending for years had suddenly shifted from wine tastings to whiskey tastings. I was pleased of course, as wine tastings always made me think of pretentious Napa Valley types sporting thick mustaches and rolled up linen pants-legs, frolicking through the old country somewhere (no disrespect intended to the fine wineries of Dahlonega, Ga.). And don’t get me started on scotch. Scotch whisky for me had always conjured up images of shady men in shady oak-paneled rooms smoking chubby little cigars with chubby little fingers, demanding that their liquor of choice be admired for its elegant nose and sturdy legs. Now where exactly is the outlaw in that? Okay, okay. Fair enough, some single barrel and small batch bourbons can be equally as snobbish, complex, and demanding as their Scottish counterparts. But for the most part, even top-shelf highly sought-after bourbons like Pappy Van Winkle, Rock Hill, or Elmer T. Lee don’t demand that kind of elitist nonsense from its fan base. Instead, bourbon, to me, is a friend waiting at the door of your favorite neighborhood bar (Fifth & Finch and Abel Brown, to name two) offering to pull you up a chair and rub your shoulders after a long hard day – because a bourbon drinker doesn’t have to be the man in the custom tailored suit with a gold-plated monogramed money clip. The bourbon man or woman is just like me or you or anyone else who may be interested in the vast and exciting world of American spirits. So over the past few years, seeing bourbon take top billing on restaurant menus and topping the marquee of several high profile events had me asking questions. Had my father been onto something way back when I was sneaking sips of Jim Beam white-label firewater from that half-gallon jug he kept in the cupboard above the fridge? Why had bourbon whiskey, here in 2018, surpassed the mighty Scotch whisky as the new gentlemen’s drink of choice? Why was bourbon being taken seriously at all? I set out to find the answers to these questions right away. And since my father isn’t around to ask anymore, I went straight to the professionals. Well, before I go any further, maybe I should clear up the differences between the different whiskies and what exactly sets them apart from each other. Here’s a quick history lesson. And I mean quick. Let’s call it bourbon 101. Bourbon gets its moniker from Bourbon County, Kentucky, where its recipe is said to have originated. In fact, a lot of people who don’t know any better will tell you that if it wasn’t produced in the state of Kentucky that it isn’t bourbon at all, regardless of what’s in the bottle. That simply isn’t true. Some people believe that huge distilleries like Tennessee’s legendary Jack Daniels don’t put the word bourbon on their labels even though they technically do qualify, out of respect for Kentucky. Again, not true. 1. The whiskey mash has to be made with 51 to 79 percent corn base, with the other grains being barley or wheat or rye depending on the distillery’s recipe. 2. The stuff has to be made in the good old U.S. of A. Now there are a few other technical details like, for instance, oak barrels for the aging process. The insides of those barrels are charred to serve as a filter and coloring medium. Bourbon can only be distilled up to 160 proof (80 percent alcohol by volume), and nothing can be added during the distillation process for flavoring or coloring. But those are just details for alchemists, master distillers, and the FDA to squabble over. Bourbon is as American as apple pie, credit card debt, baseball, or the Wild West that produced the outlaw I talked about in the beginning of this article. Remember him? Well I used to consider myself one back when I was young, foolish and wanted to be the next Waylon Jennings. It turns out that one of my good friends – the friend who originally tuned me on to country music in high school – Ralph Squillace called me one day to talk about bourbon. He knew I was a dabbler in it and he was interested. I pointed him in the best direction I knew at the moment. So I began a quest of my own that brought me down Monte Santo Avenue in Augusta to a place called Arsenal Tap Room + Kitchen (this year’s Best of Augusta winner for best beer selection), a tavern owned by Michael Brown, a life-long Augustan who also happens to stock his bar with a fantastic selection of craft and small batch bourbons. And if you don’t know where to start, that’s okay. Just take a seat and ask Arsenal’s main buyer and barkeep, Frankie Quale, to pour you a flight. It’s one of the few places in Augusta that offer flights of bourbon to sample. Frankie was excited to talk to me about his favorite spirit and I was fascinated to listen. Our conversation was exhilarating and the way he described the bourbon he poured at Arsenal literally made my mouth water – not to mention they make the best grilled cheese sandwich in the South. “We have a very diverse crowd,” Frankie told me. “Men, women, young and old, and I take on the inform and educate approach to every single customer. I just love it when someone comes in for the first time, looks around, and then plays it safe and asks for a shot of Jack. That’s like opening Pandora’s box for me. Of course, I’ll pour the shot of Jack they ordered but I can always tell when the explorer in them wants to come out and play. That’s when it gets fun. That’s when I ask if they’d like to try a little something that might challenge their palate a bit more, if they’d like to take a step into the rabbit hole with me. Now, that right there is about as outlaw as it gets, folks. But maybe you’re not the sociable type. Maybe you prefer a package shop to a barstool so you can do your drinking alone, George Thorogood style. Justin Rushtin, the owner of Spirits in Evans, could talk for hours about his favorite pastime. Much like Frankie, Justin enjoys informing and educating his patrons. He enjoys pitching different bourbons to different people depending on their personality, preference or taste. It’s the same approach that independent bookstores take when selling books written by authors they love. A genuine love for what they do was essential to my career and it looks like Justin is doing the same thing. And considering his prices are the best in town and he’s the highest selling bourbon purveyor in the county, he’s doing something right. His knowledge and love for what he sells combined with the rest of the bourbon gurus across the country are the reason behind this cultural trend in the first place. I’ve always believed that there’s nothing sexier than a woman ordering bourbon over ice and paying for it herself. Now pop culture would seem to be agreeing with me. Even Taylor Swift has waxed lyrical in her latest single, “Gorgeous,” about her “whiskey on ice and ocean blue eyes.” That should tell you that, at the very least, the demographic has changed. And yes, the guy who wears Carhartt T-shirts and writes crime novels about hardened killers is ending this article about the birth of bourbon culture with a Taylor Swift lyric. I’m secure. And I send my deepest condolences to Scottish whisky; good old American produced bourbon is the new Marsha Brady now. If you want to get involved, go see Frankie at Arsenal Taproom + Kitchen or Justin over at Spirits, and don’t be afraid to ask questions. They have all the answers. Oh, and don’t forget to tell them I sent you. 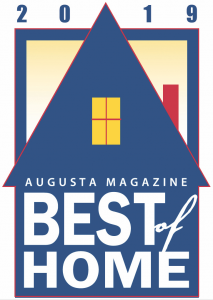 Article appears in the October 2018 issue of Augusta Magazine.